Despite the recent inclement weather and the challenging conditions stemming from Hurricane Sandy last week, Executive Care is fully operational and continues to service our clients in the aftermath of the historic storm. We realize that our clients and their families may need us now more than ever due to the extreme weather conditions. In a strong effort to continue to provide our clients with the high level of service and care that they are accustomed to receiving from Executive Care, we set up makeshift offices the day that Hurricane Sandy hit New Jersey and the East Coast. This way, we can and will continue to service our clients and directing our caregivers. 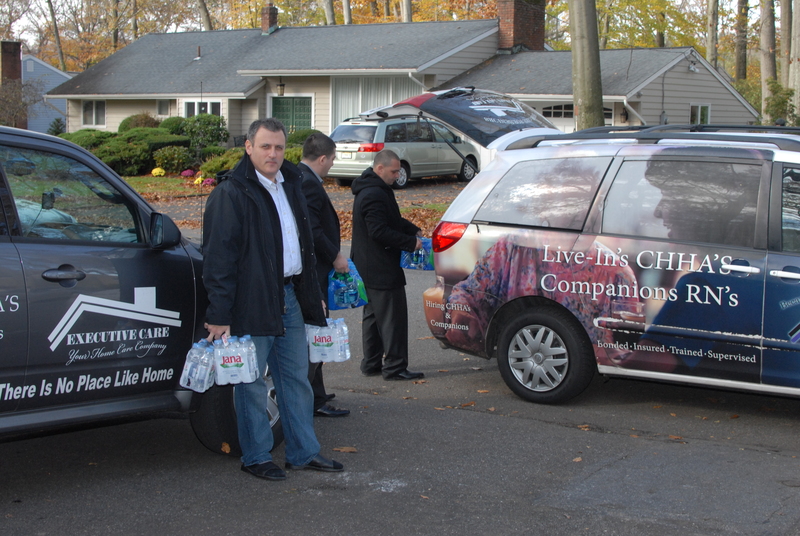 Executive Care is also committed to working with community leaders at this time to deliver electrical supplies, water and food to home-bound and homeless clients, even despite the acute shortage of fuel in New Jersey and the surrounding area. Although we have power, we still do not have internet and phones in the office. We are all working using our cell phones and opened up the office with skeleton crew so that caregivers can pick up their checks. And even though the storm hit us hard, we still made sure we ran the payroll on Tuesday so that the caregivers and office staff can get paid. We always put employees and clients ahead of profits – this is our corporate philosophy and is extremely important to us at Executive Care. At Executive Care, our mission is to provide compassionate, quality home care services to our clients so that they can remain safe and independent in the comfort of their own home. And even in light of the recent storm, we stand by our mission more than ever to continue to be able to provide care and comfort to our clients and their families.